Excluding Great Britain, Chinese are the oldest continuous immigrants to Australia beginning some in the early 1800’s. Their contribution to Australian society is immense and spans many fields over most all of Australia’s modern history. 1829 – Fifty-five Chinese migrated to Australia. 1848 – On 2nd October the ship Nimrod arrived from Xiamen with 120 Chinese followed by another ship, the Phillip Laing with 123 Chinese aboard. 1851 – 393 Chinese arrived at Hobart. 225 Chinese arrived at Moreton Bay. A person of note at this time is Louis Ah Mouy who sent a letter to his hometown explaining of the gold that was being found in Victoria. 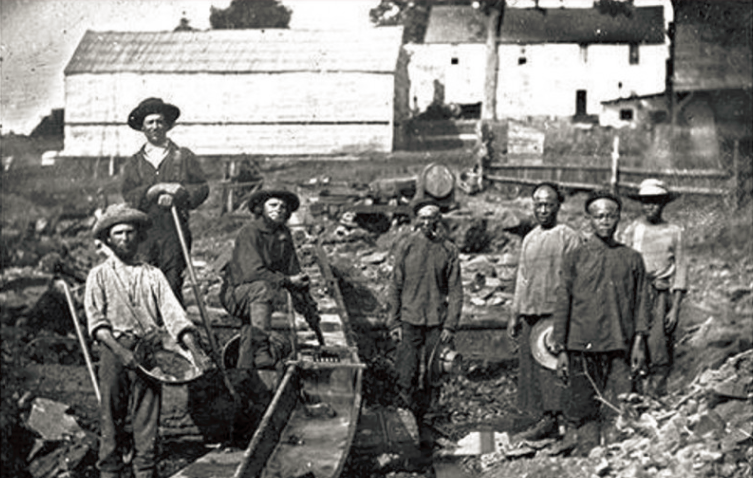 50000 Chinese arrived in China between 1851–56 to work in the goldfields predominantly in Bendigo and Ballarat. Louis Ah Mouy became a prosperous gold merchant. 1855 – with the end of the gold rush came policies that restricted immigration into Victoria, fuelled by locals unhappy that dwindling reserves of gold were going to foreigners, fuelled political by fears of rebellion stemming from the belief that many of the Chinese were of that nature coming from an area of China that had seen riots against the Qing empire and the so on. Post the Eureka Stockade Chinese arriving into Victorian ports were required to pay ten pound entry tax. 1855 – Chinese arrived through the port of Adelaide to avoid the restrictions in Victoria, and followed overland routes, in the hope of riches, to the Goldfields of Victoria. 1856 to 1889 – Over 61,000 Chinese came to NSW. They also helped build key infrastructure inc the Great Northern Railway (Sydney to Brisbane) and the international telegraph line at Darwin, NT. 1877 – there were 20,000 Chinese living at Palmer River who had followed the news of a gold rush in Queensland, outnumbering European settlers. Challenged by native tribes they stayed on mining the region. Post the mining rush many Chinese helped to develop the Banana trade. The Chinese became dominant in the banana trade, wholesale and retail on the eastern seaboard. Interestingly, profits from this trade were sent home to develop department stores (Wing On) in Hong Kong, Guangzhou (Canton), and Shanghai. 1880s – end of the gold rush and many Chinese stayed in Australia and took jobs as chefs, working on farms, paddle boats, as cabinet makers and so on. Many becoming highly successful merchants and business owners. 1898 – the Tung Wah Newspaper rolls of the printers. Distributed nationally it was apparently a hot platform for the discussion of the future of China, with Chinese Australians being pro-Qing and others being pro Sun Yat Sen.
1901 – Introduction of policies barring non-Europeans immigrating to Australia was a hideous time for Chinese Australians. Policy born out of fear, ignorance, and rising nationalism, yet it was perhaps one of the catalysts for Federation. The awkward and ignorant stumbling of the coming together of a new nation that had not yet formed values or beliefs, nor understood that it was to be a nation of nations. These policies were instituted by the states and later federally where subsequently removed from 1949 to 1973. In 1975 the Racial Discrimination Act was passed, as the name implies, making racial discrimination unlawful. 1901 – Federation – Australia becomes a nation. The Chinese community paraded two dragons through the streets of Melbourne in joint celebrations. 1902 – the Chinese Times rolls off the presses in opposition to the pro-Qing stance of the Tung Wah Newspaper. 1911 – the Young China League was formed by Lew Goot-Chee and Wong Yue-Kung and created the National Patriotic Fund which sent money back to China to support Dr Sun Yat-Sen.
1912 – There were pro-Qing flag parades held by Chinese conservatives who were dismayed at the demise of the imperial regime and celebrations were held by pro-KMT along with the removal of the dragon flag was replaced with the 12-pointed star flag at the Chinese Australian Consulate. 1913 – A thank you letter is sent from the Finance Minister of the Republic to Chinese Australians for their support. That letter is on display at the Golden Dragon Museum in Bendigo Victoria. 1914 – 198 Chinese men enlist with the Australian Imperial Force and fight in the Great War. 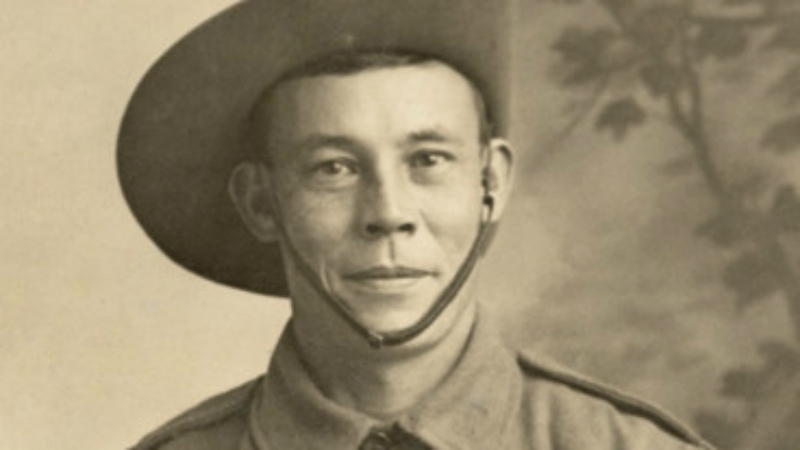 Notable was Billy Sing who became Australian hero for his ability with a rifle. 1937 – Jiang Jieshi sent a letter to the Chinese in Australia, appealing for their support against the Japanese invasion. Fundraisers were held across the country. Immigration numbers of Chinese to Australia increased as refugees escaping invasion from Japanese forces. 1939 -1945 – WWII saw many Chinese Australians involved and making vital contributions in the war effort. 1943 – Bank of China is issued a banking license and opens its first branch in Sydney. 1951 – the Australia China Friendship Society was established in Melbourne and Sydney founded by Arthur Locke Chang. He advocated for peaceful international co-existence in the troubled times of capitalism vs communism. 1951 – the Columbo Plan. 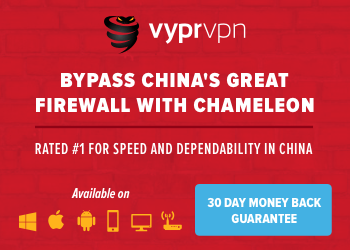 300M was donated to aid in the education of Asian students in Australia. It’s important to note this as up until this point immigrants from China had been mostly from southern areas. 1956 – Melbourne Olympics. An Australian born Chinese proposed the idea of marching without national flags at the closing ceremony to symbolise international togetherness in what were troubled times internationally, he was later presented a medal even though he did not compete. A Chinese team from Taiwan took part in the Melbourne Olympics. 1970 – James Lew, a 101-year-old Chinese elder brought Sun Loong, the longest imperial dragon in the world, to life by dotting his eyes with chicken blood. 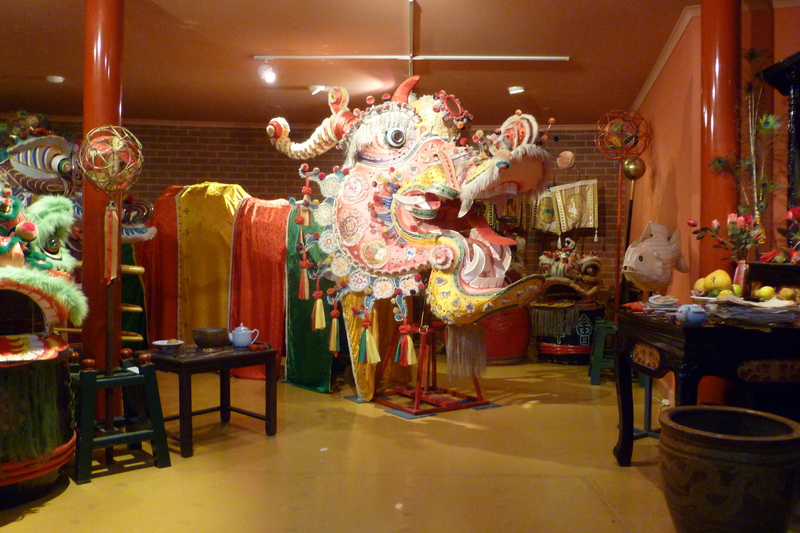 Sun Loong lives at the Golden Dragon Museum in Bendigo Victoria. 1972 – Diplomatic relations were established between Australia and the People’s Republic of China. 1982 – William Liu was awarded an OBE his efforts in Sino-Australian relations, and also receiving high praise from then premier of China, Zhao Ziyang. 1988 – Helen Sham won a seat in the Legislative Council of New South Wales. 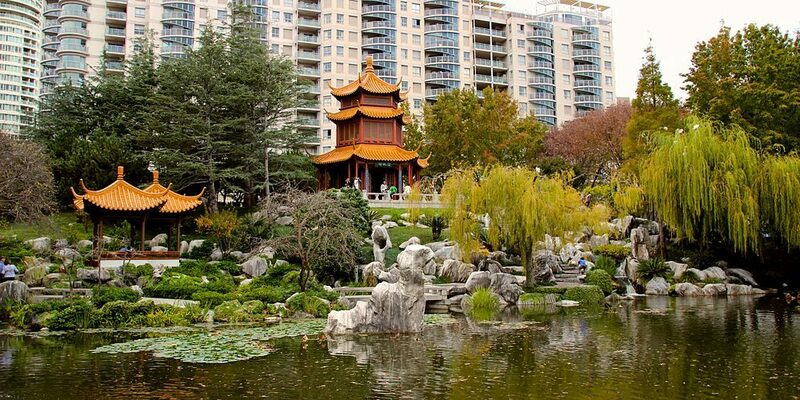 1988 – The Chinese Garden of Friendship is opened at Darling Harbour, Sydney. It was designed by Sydney’s sister city, Guangzhou. 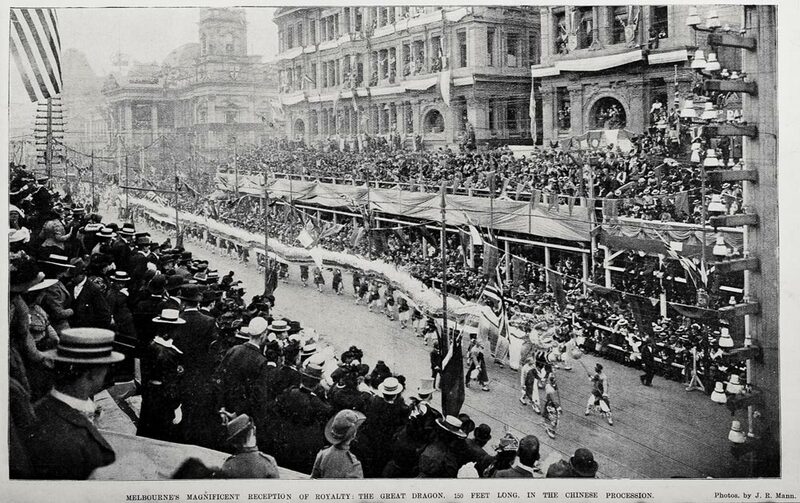 1997 – 100,000 Chinese immigrate to Australia post the British handover of Hong Kong. 2008 – The University of Sydney Confucius Institute opens. The Chinese Government opens another 9 Confucius Institutes in Australian Universities and also within the NSW Education Department. 2011 – Chinese becomes the second most widely spoken language in Australia overtaking Italian and Greek. 2016 – At the 2016 census, 5.6% of the Australian population have Chinese ancestry. 596,711 persons declared that they spoke Mandarin at home followed by Cantonese at 280,943. Other popular dialects were Hokkien and Hakka. The most popular city for mainland Chinese was Sydney followed by Melbourne.